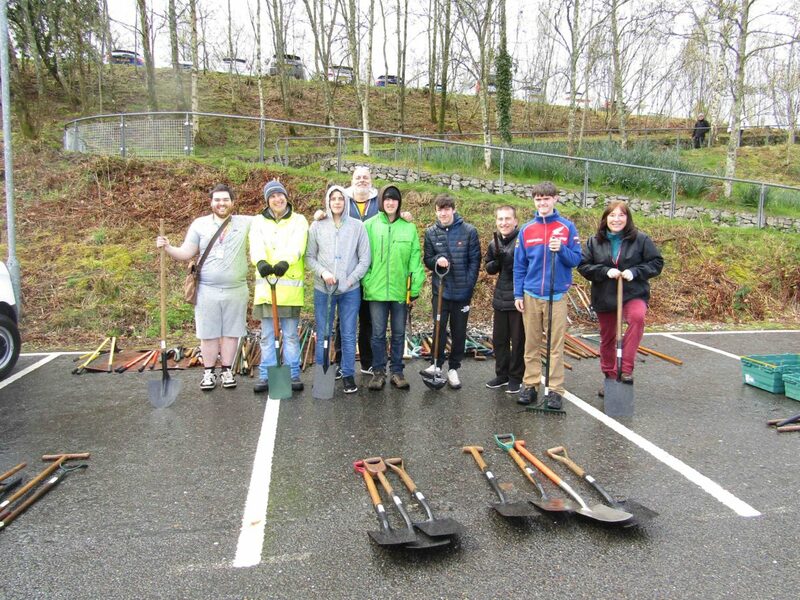 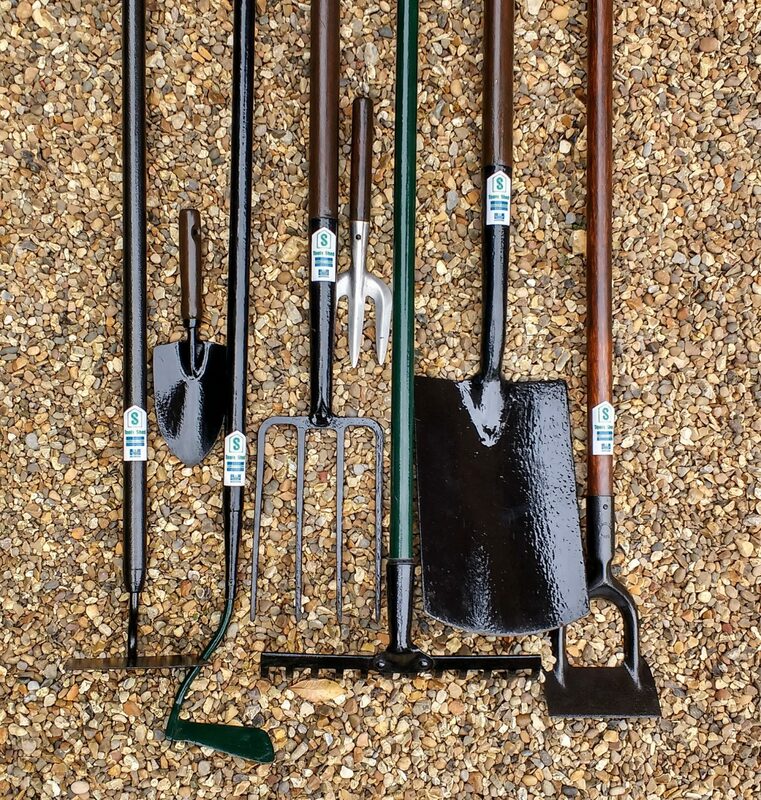 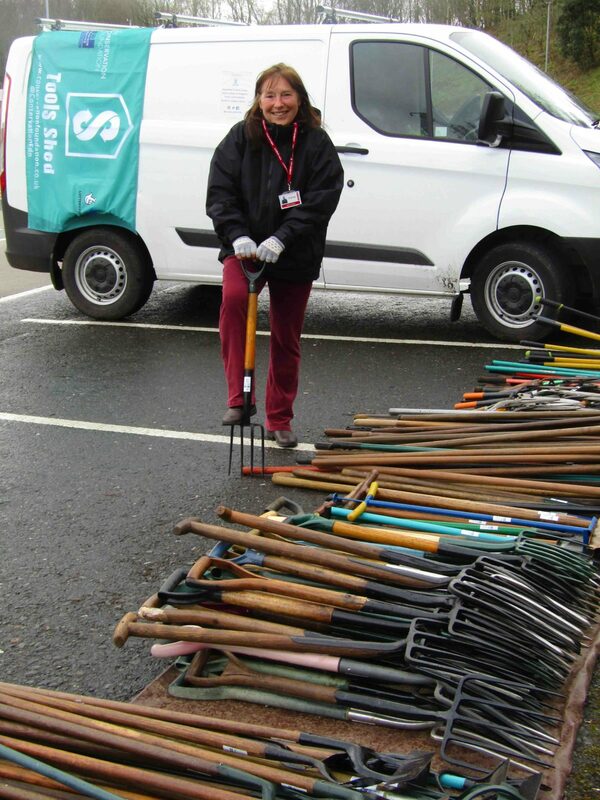 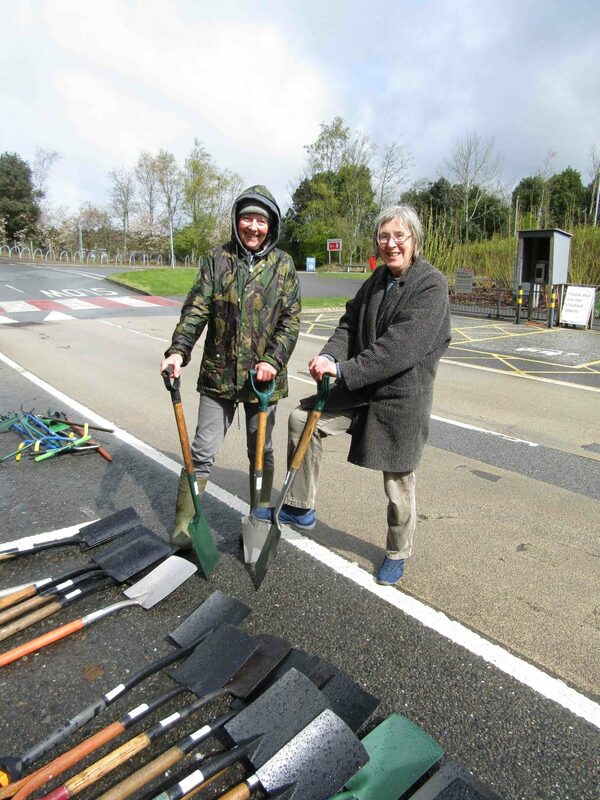 Rain and sleet didn’t deter local school and community gardeners from coming to the tool giveaway at the Eden Project organised by our new regional coordinator Kevin Marsh and Eden’s Karen Dawkins. 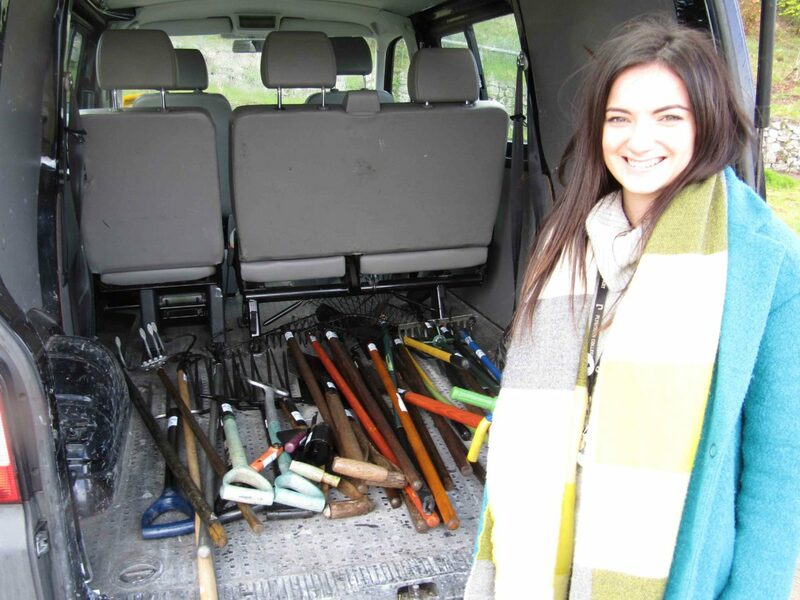 Seven organisations went away with 211 tools which had been repaired in the Tools Shed workshop at Dartmoor Prison. 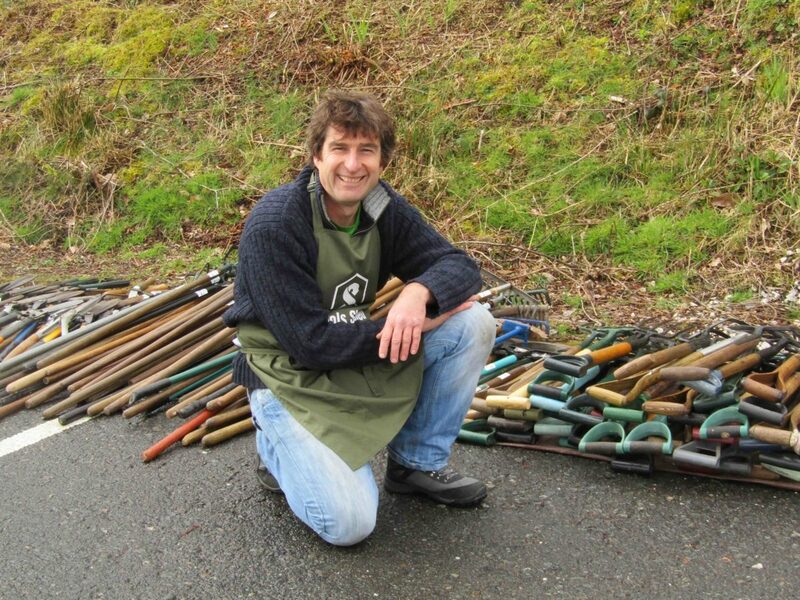 Kevin Marsh, Tools Shed coordinator for the south west.